Email based approvals are an excellent way to collect approval from approvers who are often away from their computer or who might not have access to the corporate network. 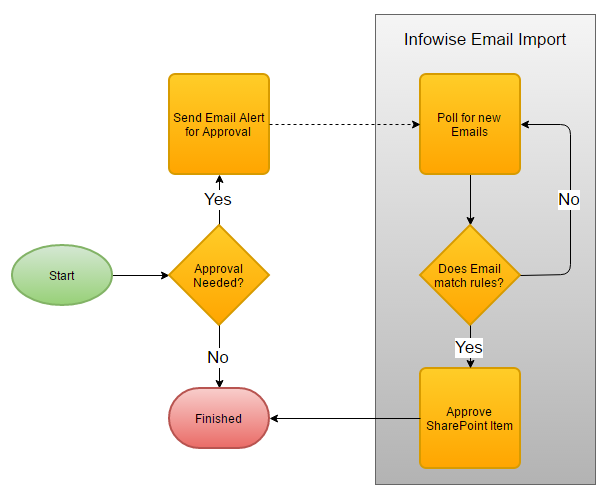 Using Email alerts combined with Email importing, a process can be created to interact with SharePoint without the user needing to have access to the SharePoint system in question. This training topic will take approximately 1 hour to complete. The examples in this topic are performed on Office 365 SharePoint, tips will be given for On-Premises SharePoint versions.